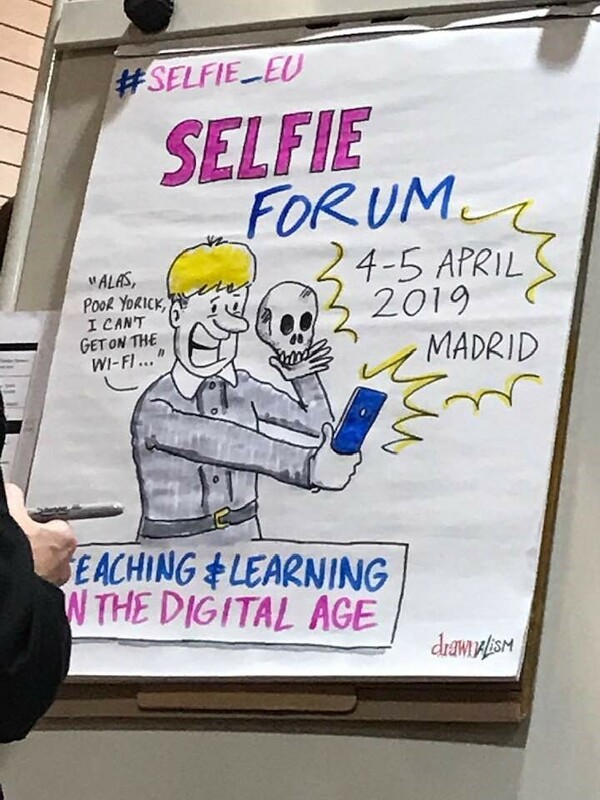 The year started with the attendance of the Forum for the Future of Learning organized by the European Commission in January 2019, in Brussels. Proposals for the most important areas that should be addressed and should benefit from the digital education initiatives. 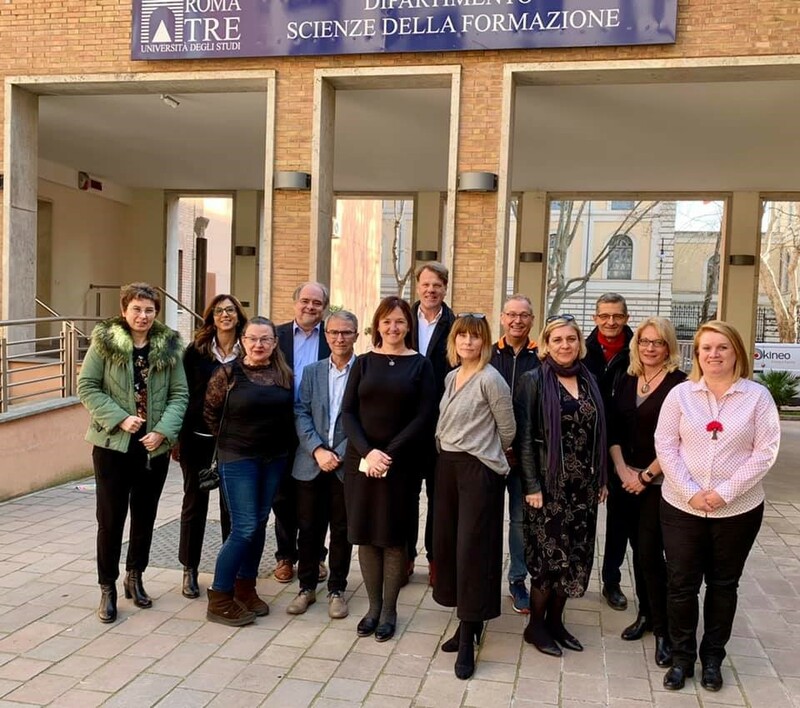 ET2020 DELTA working group met in Luxembourg, and then in Brussels, to discuss how digital game-based learning can enhance lifelong learning for people at any age, developing their learning skills, coding skills and digital skills to create things. The EDEN community may further address the questions of how and when games may better motivate and engage learners, or promote their engagement in science education and work for the industry – and many more. Questions pending for EDEN PhD symposia and the Council of EDEN Fellows. 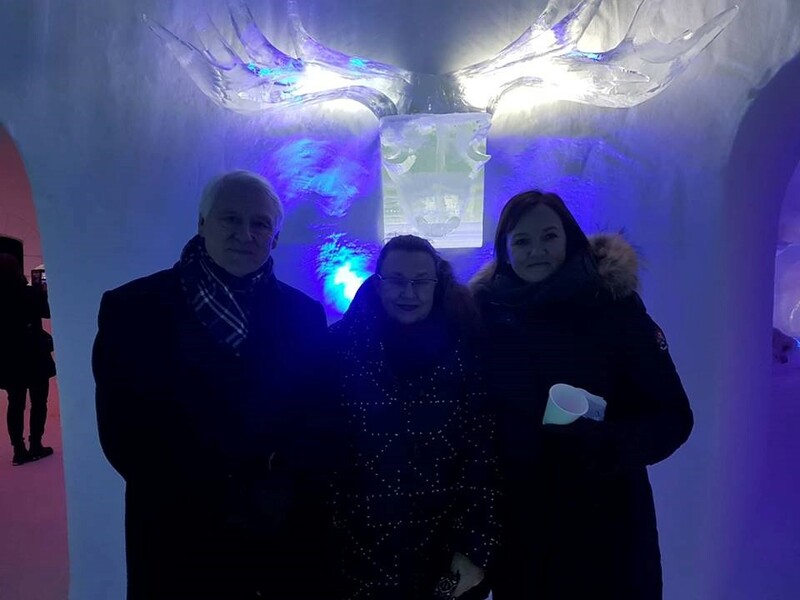 Alan Tait, Ebba Ossiannilsson, Airina Volungevičienė, Lillehammer, Norway, 2019. Keynotes invited the audience to express their courage in (dis)agreement to use driverless cars, or to become explainers of artificial intelligence for future employers and users of everyday household equipment for smart living! – what are the elements of artificial intelligence that should be integrated into digital learning spaces today? And who should propose them? 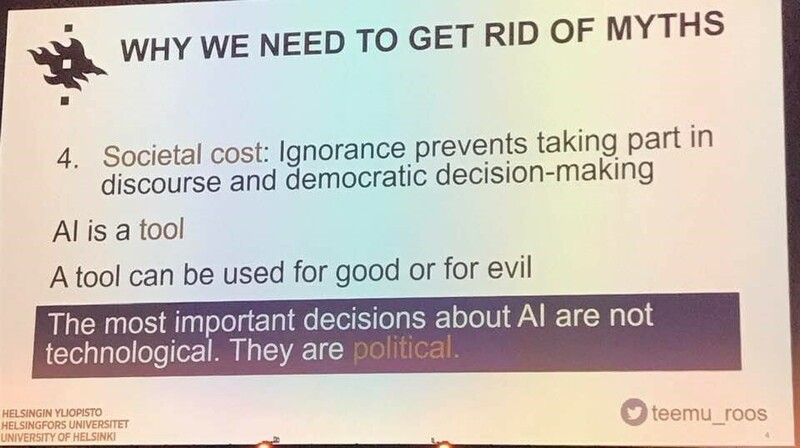 As Teemu Roos from the University of Helsinki highlighted, there are too many myths around AI, and it is our role to research and demystify those. EDEN will follow this up, as the Bruges Agenda has already been set up for discussions on AI as well. 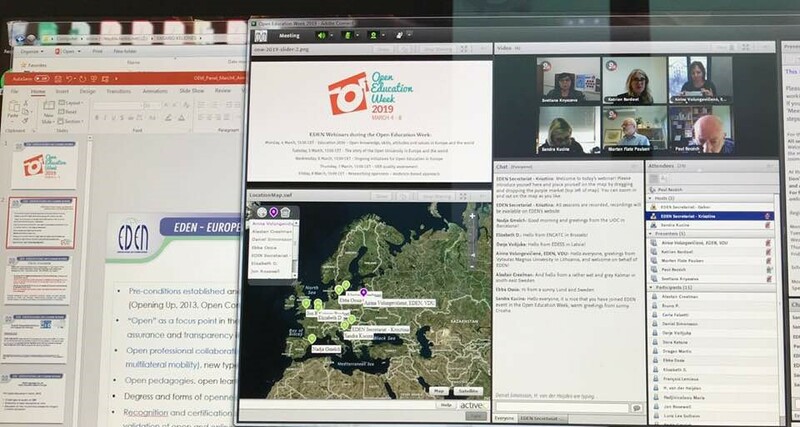 March started with the third Open Education Week with webinars organized by EDEN in Europe which received high attention from online community members and also high-quality feedback from the participants of the events with appreciation expressed towards the topics selected and the panellists and the presenters invited to the webinars of the week. This year, 5 webinars with 370 registered participants were held. The participants came from 38 different countries, including 16 countries from outside Europe (with the majority coming from Canada, Argentina, South Africa and Australia). All slides used by the presenters are available on EDEN’s Slideshare page. The records of the sessions have already been reviewed by 1051 authentic viewers, and the numbers continue to grow. Records have been successfully used by all stakeholders as useful resources in Higher Education curriculum, formal and non-formal events, training sessions and workshops all around the world. Decision makers from EU member states, experts and NGOs will discuss further development of the tool, opening it up for further stakeholders, higher education institutions, consultancy companies, training providers and other types of organizations. Specific aspects of the school community were discussed, and further perspectives and benefits of the self-reflection of education organizations in order to become digitally competent were addressed. There is one pending news for EDEN community – on EDEN operation cross – borders in a European way! News to come in the next blog post, after our next EDEN EC online meeting in April.